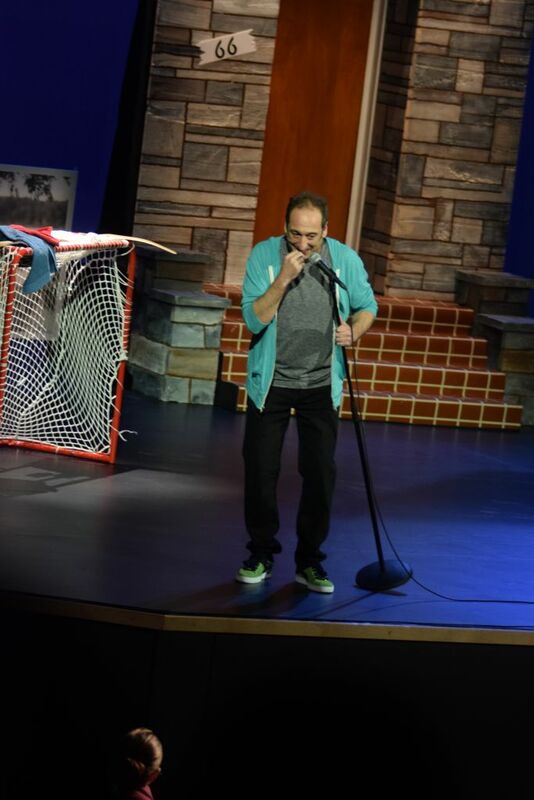 Jeremy Hotz brought his specific type of X-rated humor to an audience of well over 200 at the Algonquin Commons Theatre on Nov. 23. Ottawa native Hotz has been performing comedy since 1984, starting a Yuk Yuks’ comedy club when it was in its early stages and from there he has become an international sensation, performing at comedy festivals all around the world from Just for Laughs to the Latenight Show with David Letterman. He kept the jokes and laughter flowing from start to finish, interacting with random members of the audience and poking fun at himself and at them. First-year bachelor of public safety student Angelina Lourenco found Hotz extremely personable. “I think it was really funny, really relate-able even though there is a really big age gap, but because of the family I grew up in I related to a lot of what he was saying. First-year child and youth worker Jerrard Desomeaus had a different opinion of what he thought of the show. Hotz’s tour continues for the rest of the year in the U.S before coming back to Canada for much of 2019. This event was being live filmed for his upcoming DVD release. Anxiety-ridden Jeremy Hotz shows fans his x-rated powers Reviewed by Karine Beaulieu on November 27, 2018 .